NewsPiper is an RSS feed reader, news aggregator, web grabber and news ticker in one. It allows you to monitor your favorite news sites (cnn.com, foxnews.com, etc. 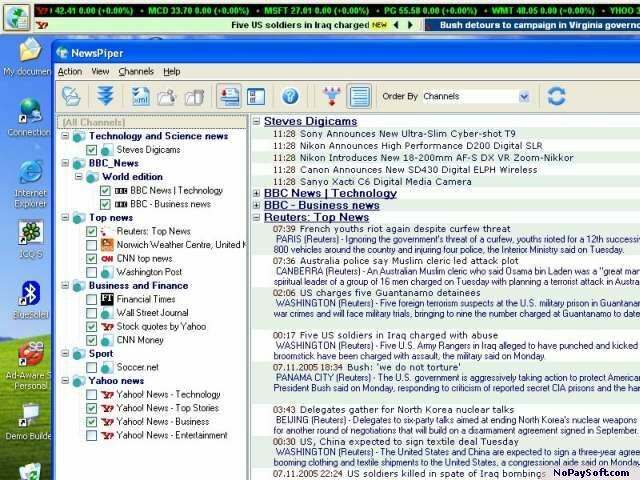 ), RSS feeds or blogs, retrieve necessary news and display it in the usual three panes newsreader interface (channels, news titles, news details) or scroll it in a special bar (NewsBar) placed at the top of your screen.